Stop looking for motivated sellers, distressed sales, run down properties, "the best deal". Of course you can make money finding a sweet deal on an ugly house, but as a beginner at real estate investing the time you invest to find the deal will be massive. And if you're not investing full time you will be spending your nights and weekends away from your family trying to fix up your super buy. Is that what you had planned when you started? Have you turned yourself into a "real estate investor" or a "contractor"? You have created a job for yourself. Add up all the hours you've spent finding the property, funding the property and then all the days you are at the property fixing it up. Then divide that by your anticipated profit. That's what you are paying yourself per hour. Sounds more like a job than investing to me. You're creating an income for yourself through some serious sweat. I know many people making money like this. I have done it myself and will continue to do it. Instead of looking for motivated sellers, why not find nice homes, in nice areas? Why not begin creating an asset base that works for you? Instead of selling the assets you buy, why not hold on to them? Isn't that what some of the best investors do? Buy assets and hold them? Now I'm sure we can turn this into a bigger debate, but think about it. 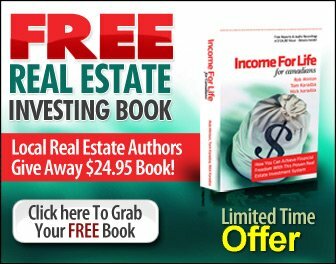 Isn't the point of getting into real estate investing to create some real wealth for yourself? The reason it's difficult to 'flip' properties is there isn't a system for you to follow. When you're in the business full time you'll have people call you up, deals will show up as your name becomes better known. But when you are squeezing this activity into your off hours it can be challenging to find properties regularly. You may make a chunk of profit on one home and then you will spend the next six months driving around aimlessly looking for another deal. Now do you think you are able to find nice homes in nice areas? A little bit easier right? Nice homes attract nice people. Why not rent it out to them? And what about cash flow? Would it not be nice to start generating some cash flow from your investment right away? Some positive cash flow. Just as Robert Kiyosaki teaches in his Rich Dad Poor Dad books. Well, it's all possible. There are specific strategies you can use to buy a nice home in a nice area, get thousands of dollars back from a tenant right up front and generate a positive monthly cash flow each month. You will have tax deductions, equity build-up and appreciation. You can even set up your rental strategy so that there's a pot of profit after the rent term. Doesn't this sound more like investing? And it's possible to systemize every step of this strategy because there is a steady supply of nice homes and a good supply of people needing to rent. So forget searching for motivated sellers. Start looking at nice homes and extract cash flow from them. Sounds a bit more like investing, doesn't it? Find a local investment club and start asking questions. These things are happening right in your own backyard. Or contact me via www.RealEstateRenegades.com and depending on your location in North America I may be able to point you to someone doing this right in your own backyard. Now go and do something! Return from Motivated Sellers to the Canadian Real Estate Investing Guide by clicking here.